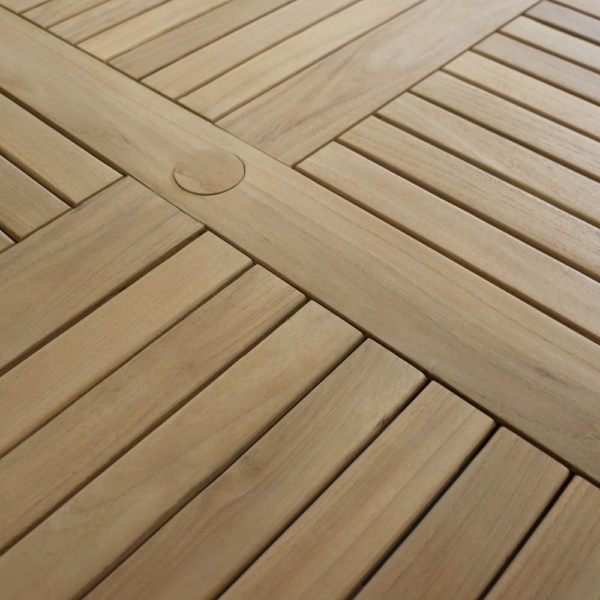 Our Square Pedestal Teak Dining Tables are perfect for outdoor dining! 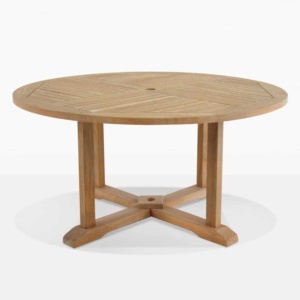 With a pinwheel design on top and an umbrella hole, these tables are classic, grand and elegant. 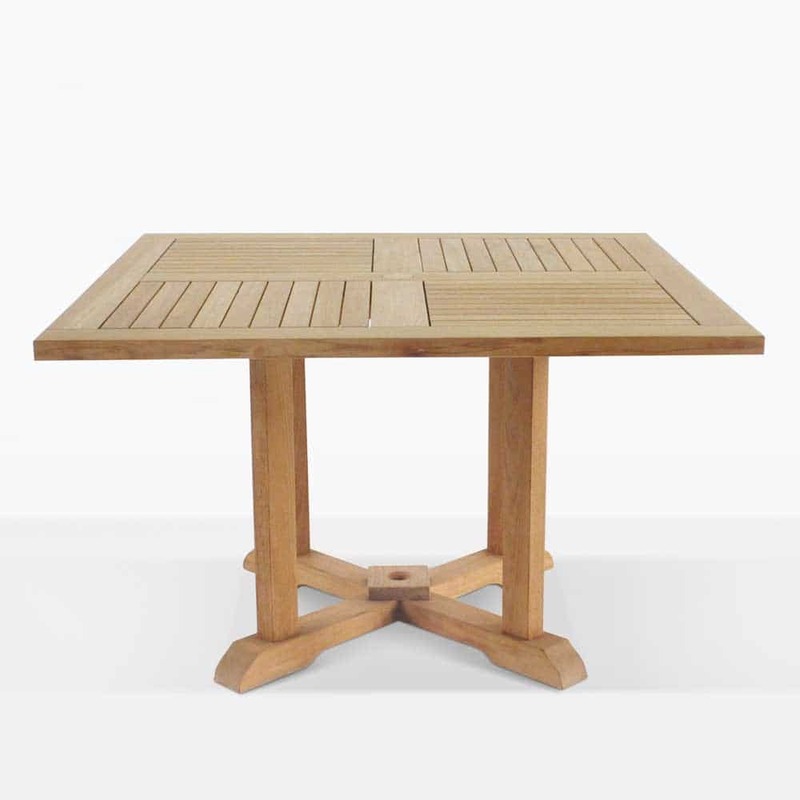 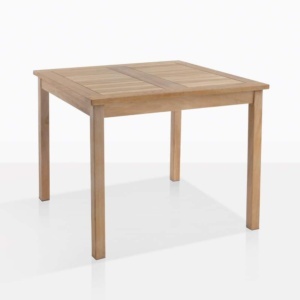 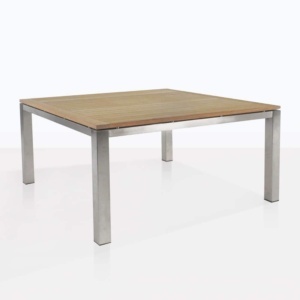 Constructed from heavy duty Grade A Teak, the Square Pedestal Teak Dining Tables will stand the test of time! Pair up with a wicker Petra Chair, or the Nautical Dining Chair for a contrast in textures, creating seaside resort style in your very own garden. See size options below.